Rascal Flatts today announced the final leg of their Rascal Flatts American Living Unstoppable Tour, sponsored by JCPenney with associate sponsor Hershey’s. The tour will restart on January 15 & 16 in Uncasville, CT at the Mohegan Sun Arena and the band will perform 23 shows through March 13, wrapping in Oklahoma City at the Ford Center. 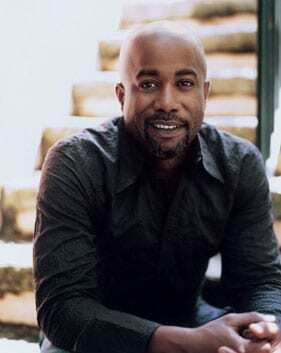 Darius Rucker will continue as opening act. The first leg of the Rascal Flatts American Living Unstoppable Tour sold 550,000 tickets in 39 shows since it began in June 2009. This total also includes the two sold-out stadium concerts at Chicago’s Wrigley Field and Columbus’ Crew Stadium. The band’s 2009 tours have sold over a million concert tickets, bringing their 4 year total to just over 4 million tickets sold.